Today I'm showing you my outfit of the day - almost completely mint, except purple bag and cream-pink flats. 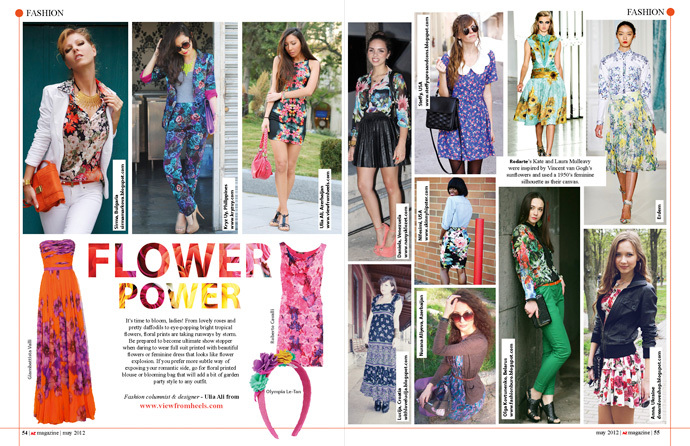 This look and Floral feelings look were featured in AZ Magazine! Thank you so much, Ulia Ali! 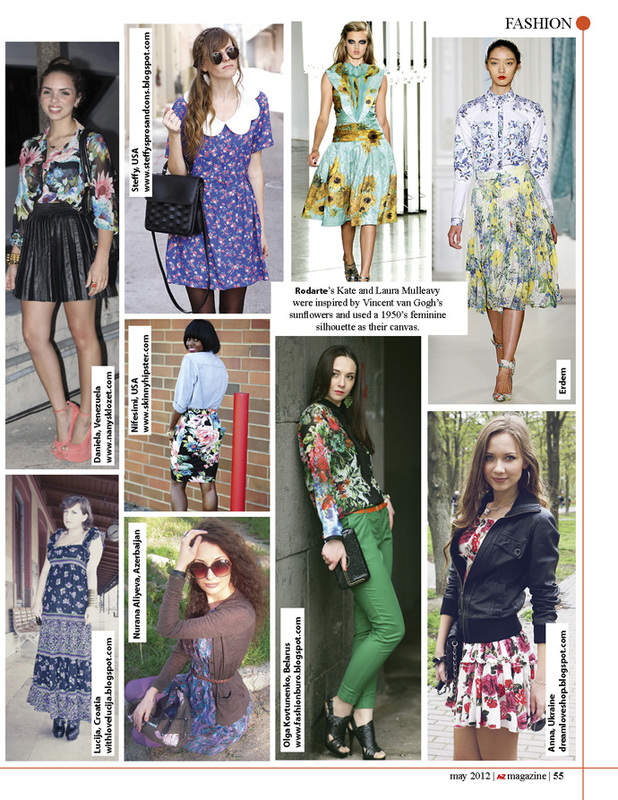 Этот лук и лук из поста Floral feelings были напечатаны в AZ Magazine! Огромное спасибо, Ulia Ali! Other features in press and online check out here. I absolutely adore this outfit Anna, you look incredible in this, you really rock the look for sure! Love this color darling ! YOu look stunning in the outfit dear!!!! nice post!thank u for visit! amazing look! the colors are gorgeous and I LOVE the necklace. Gives the whole look a real edge! Girly you are killing the mint on mint! Double the fab!Love it! I love the mint on mint! And the background is so pretty! It's my first time here and I lovin' it! Your outfit with Zara sweater look nice - and I love white trousers! Thank you! You look great! Yes, I would love to follow each other! So I'm now your follower. Still in love with mint. Love how you've accessorised the look! such a sweet and lovely colour~ I love light blue. this is such a warm fix for colder days too. I'm huge fan of mint so I love Your look ! You have amazing blog too <3 Following you now, mind to follow me back? Kisses. lovely outfit, i love the mint color ! You look amazing! Following you now, mind to follow me back? love this outfit, very chic and stylish! Check out my blog! Write your opinion and maybe...follow? У тебя очень классный блог. Ты как я снимаешь, а потом неделями фотки маринуешь))) я тоже не успеваю! Love your look, the nail polish is perfect! I'm having my graduation exams too! I have only one left, French. i love these amazing blue hues! you look lovely as well. wanna follow each other? I'm following now! Love your bag! Thanks for the lovely comment! Nice outfit! simple and stylish! Love this look! The necklace is a perfect touch! Love mint.. and your outfit is mint = Love ! and the necklace fits perfectly! Mint on mint??! Love this! I also have exams right now and I'm dying, have so much to study :( Hope you're aced your examination! Im following you now with bloglovin, please follow me back!